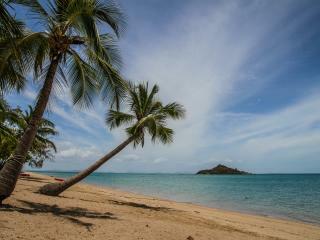 Hydeaway Bay is located 45 minutes from Airlie Beach and is a tropical island escape on the mainland. Choose from the day tour or the sunset tour and enjoy lunch or dinner with time to explore the beautiful beaches and waters of Hydeaway Bay and Cape Gloucester. The Hydeaway Bay Sunset tour makes a nice addition to your Airlie Beach holiday, whilst the Hydeaway Bay Day Tour is ideal for those wanting to make the most of their time between morning hotel check-out and their evening flight departure. For a fun half day tour whilst staying in Airlie Beach the Segway Rainforest Discovery Tour is a great option. Experience the fun of Segway riding while discovering the beauty of the surrounding rainforest in Conway National Park. Enjoy morning tea by the peaceful waters of Impulse Creek and learn about the native flora and fauna of the region from your informative guide. The Segway Rainforest Discovery Tour is an enjoyable Airlie Beach half day tour. Experience the Airlie Beach highlights on this amazing Airlie Beach afternoon tour on your own Segway! Cruise along the Whitsunday Bicentennial Boardwalk overlooking Pioneer Bay and travel past the interest points of Airlie Beach before sitting down to a delicious light dinner enjoying the sunset. This popular Airlie Beach tour is a must-do on your next holiday to the Whitsunday Coast. 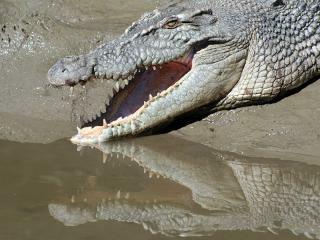 Cruise the Proserpine River spotting the resident crocodiles and a range of native wildlife before travelling through the wetlands in an open-air tractor drawn wagon. Also included in this day tour is experienced guided commentary, BBQ lunch and refreshments. The ultimate way to truly appreciate the magnificence of the Great Barrier Reef and Whitsunday Islands, these overnight sailing adventures allow you to explore the secrets of this amazing part of the world aboard a high speed catamaran, luxury vessel or traditional tall ship. The perfect way to get up close and personal with the beauty of the Whitsundays, these one day cruises navigate the crystal waters and sheltered bays to some of the region's best beaches including iconic Whitehaven Beach. You can also swim, snorkel, dive or discover the Great Barrier Reef on a glass bottom boat. Enjoy a unique perspective of the World Heritage listed Great Barrier Reef and stunning Whitsunday Islands with these scenic light plane and helicopter flights. Offering amazing views of the coral reefs, pristine beaches and crystal waters, these tours offer the experience of a lifetime.